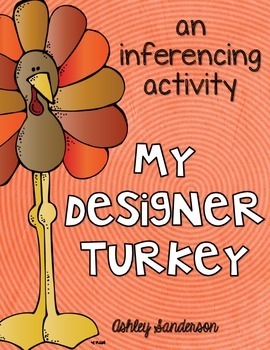 Your students will love using their inferencing skills to figure out what turkey each student wants. 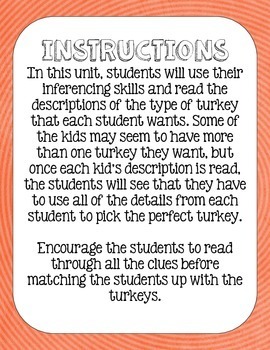 They will use the clues that each student gives to match them up with their perfect turkey! Then they will record their answers on their recording sheet. 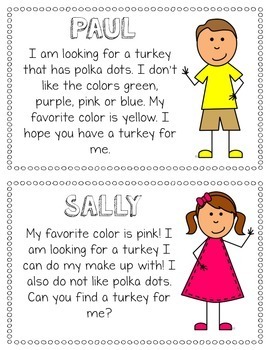 They also have to list a reason why that turkey is perfect for that student. Possible answers have been included for the teacher. 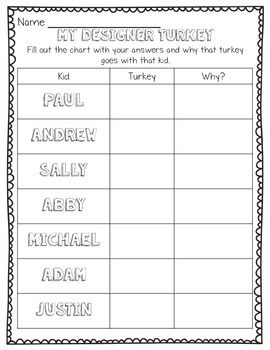 There are also pages for the students to design their own turkey and explain why it's the perfect turkey for them! Please let me know if you have any questions before or after you purchase! I'm happy to help!